Spoiler alert. All but one of these Skintreats worked for me. Here’s the low down. Sidenote: Since most of my audience is composed of Canadian baddies, you can pree all of these at Shoppers Drugmart, but I will also leave links down below. I give this a solid 9/10. It’s extremely gentle, and it has a subtle rose scent, rather than the obnoxious heavy rose fragrance lots of companies have been doing lately. It’s creamy and doesn’t froth which is always a good sign for me. Actually, here’s a fun fact. Many soaps are made to froth, regardless of it adding any value because mentally we associate frothing with being cleaner. In terms of ingredients, I rate this company for having most of their ingredients pronounceable and easy to understand. 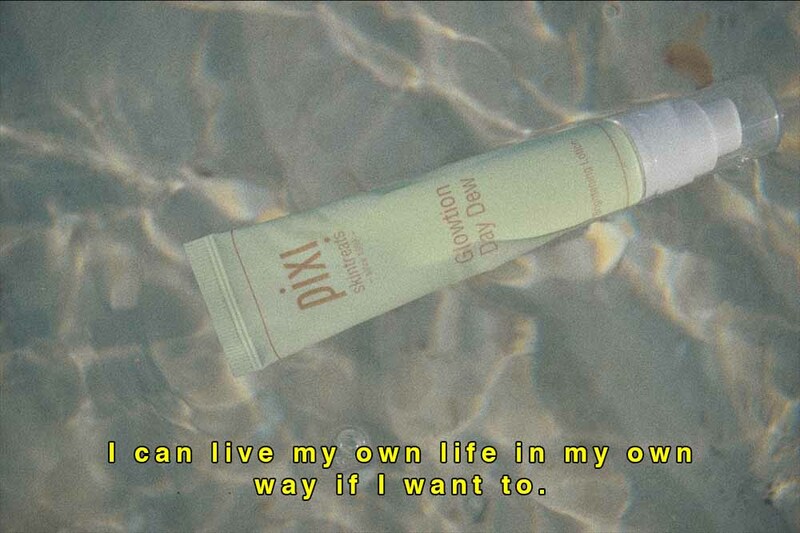 More info about the cleanser here on Pixi’s site. I haven’t used this enough times to notice any lasting changes to my skin. Just keeping it real. What I will say though is it preps your skin as an amazing base for makeup. The texture is thin which is refreshingly different for a mud mask. It smells really earthy with it’s main ingredients being: Aloe Barbadensis Leaf Juice, Kaolin, and Sea Silt (Mediterranean and Dead Sea Mud). 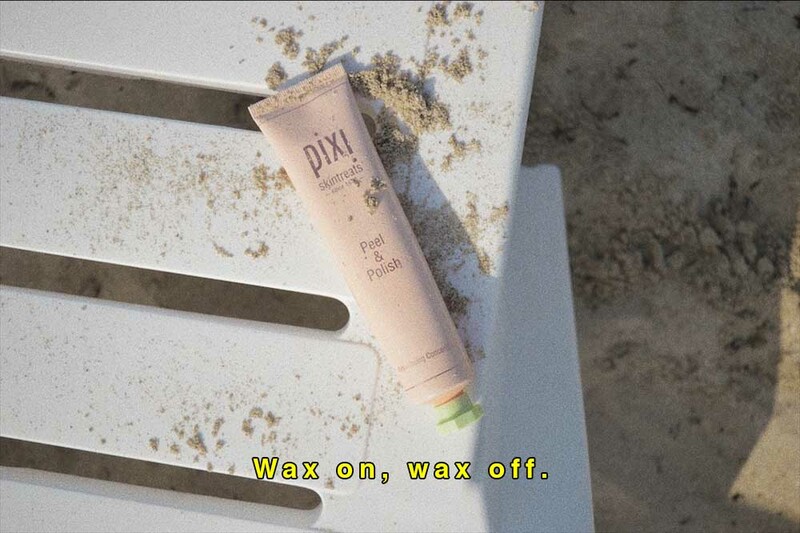 Pixi’s site has a full list of ingredients and benefits for the Glow Mud Mask here. The first time I used this I noticed my skin tingling. If you have more sensitive skin, know that the more you use it, the less you feel the effects of the natural fruit enzymes. I really enjoy the texture of the grit of this too. It’s a medium size, medium density grit, so it’s not going to hurt if you have sensitive skin, but it gets the job done. Check out the Peel & Polish here. I was the most excited for this moisturizer and was surprised to see that it was my least favourite. When I tried this on in indoor lighting I was thinking, “this is la bomba”. Then I went into the natural sunlight and everything went downhill from there. It was a nightmare of sparkles all over my face. If you’re not stepping out into daylight with this you should be okay, but personally, I’ve just using this as a night time moisturizer to avoid the My Little Pony vibes. 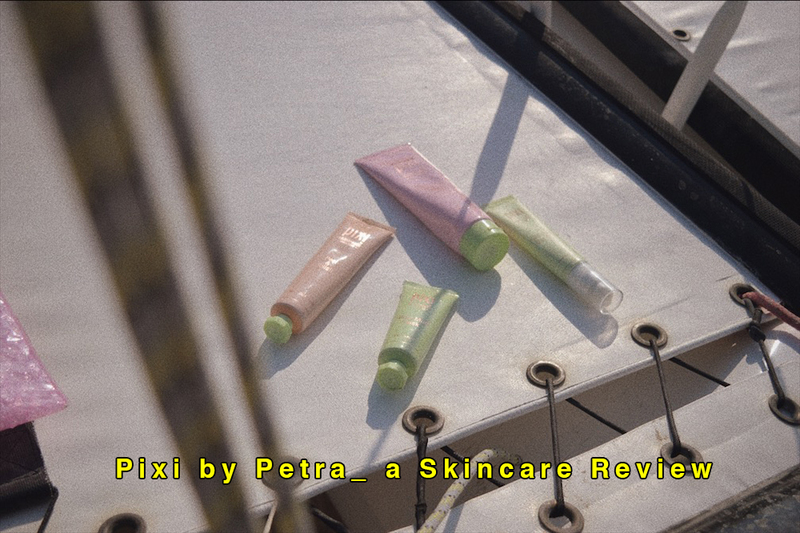 I actually didn’t include my very very favourite Skintreat from Pixi because I’ve mentioned it so many times in previous articles but If you’re interested to see what it is check it here.